Sacramento's Black Community Wants Racial Justice After Stephon Clark's Death. But This Isn’t The First Push To Save Black Lives. 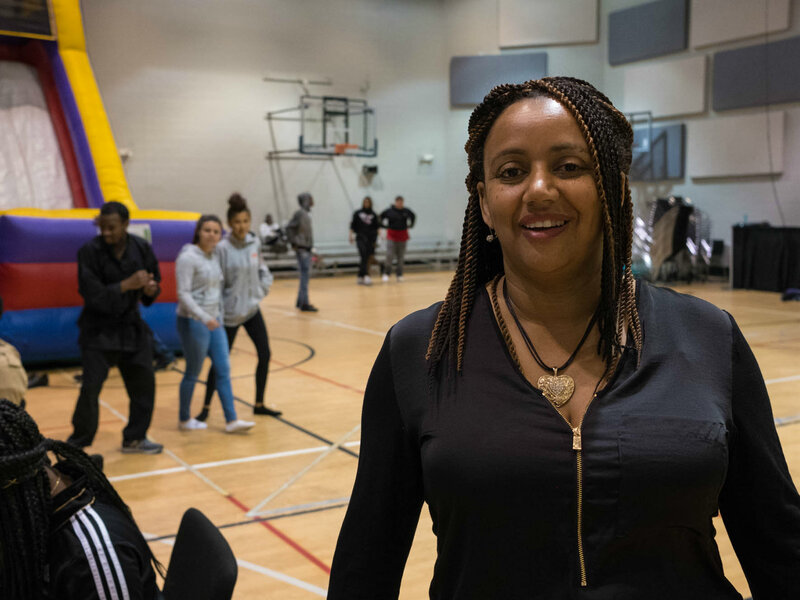 Paris Dye, the program coordinator at Liberty Towers Church and the North Highlands lead for the Black Child Legacy Campaign, says the public is paying more attention to health disparities in communities of color since the death of Stephon Clark. When teens start to flood through the doors of Liberty Towers Church in North Sacramento on Wednesday afternoons, Paris Dye is 10 steps ahead. She gives high-fives and hugs before continuing her task of laying out snacks and craft supplies. Dye has been working at the church for seven years, and she treats some of these kids like her own. That’s why she pushes so hard to give them a chance for a better future. It’s a cause that’s taken on new meaning after Stephon Clark was shot by police in his grandmother’s backyard on March 18. In the wake of Clark’s death, a new conversation emerged between black residents and local government. But neighborhood leaders said they’ve been pointing out racial inequality — and the role it plays in the deaths of black youth — for years. Dye is her area’s leader for the Black Child Legacy Campaign. Now in its third year, the county-funded project aims to make change in seven neighborhoods where death rates for black children are highest. The list includes Clark’s own Meadowview neighborhood. But their work is changing. In the immediate aftermath of Clark’s death, some of the key players in the legacy campaign helped launch Build Black, a new coalition hosting a broader conversation around policing practices and economic investment in neighborhoods of color. This is a new conversation about an old problem. Back in 2012, Sacramento County gathered 20 years of statistics on child deaths in Sacramento. It showed that young black residents were twice as likely to die before age 18 as their white peers. Black youth also made up nearly a quarter of all child deaths during that period, despite comprising only 12 percent of the population. That trend continued through 2015, according to a Sacramento Bee analysis of state child death data. The primary causes of death for these children remained the same: unsafe sleeping conditions, perinatal complications, accidents and homicide. Sick of losing children to preventable causes, neighborhood leaders teamed up with the Sierra Health Foundation, a private philanthropy, and approached the county about funding. After months of negotiations, county supervisors voted in 2015 to commit $26 million over a five year period to the issue. They allocated $7.5 million to neighborhood leaders, and put the rest into hiring staff in probation, child protective services, and public health. He said the funding alone won’t make up for years of bad blood between government officials and black residents. “Even those changes, those new offerings, that new attitude, is not going to be believed by communities who for far too long have experienced just the opposite,” he said. Dye said she’s able to do a lot more now with the support from the Black Child Legacy Campaign than she was when she worked alone. When it’s time to guide a family through a child welfare dispute or console a community after a police shooting, she now has the resources on hand. Liberty Towers Church, and the other seven neighborhoods in the campaign, plan to focus their efforts going forward on lifting up youth voices and improving economic opportunities for teens. On Sunday, March 18, 2018, Stephon Clark was shot and killed by two Sacramento police officers in the backyard of his grandparents' house in South Sacramento. Check back here for the latest updates, conversations and analysis. Black community leaders are working with the city and county of Sacramento to inspire teens toward college and careers. 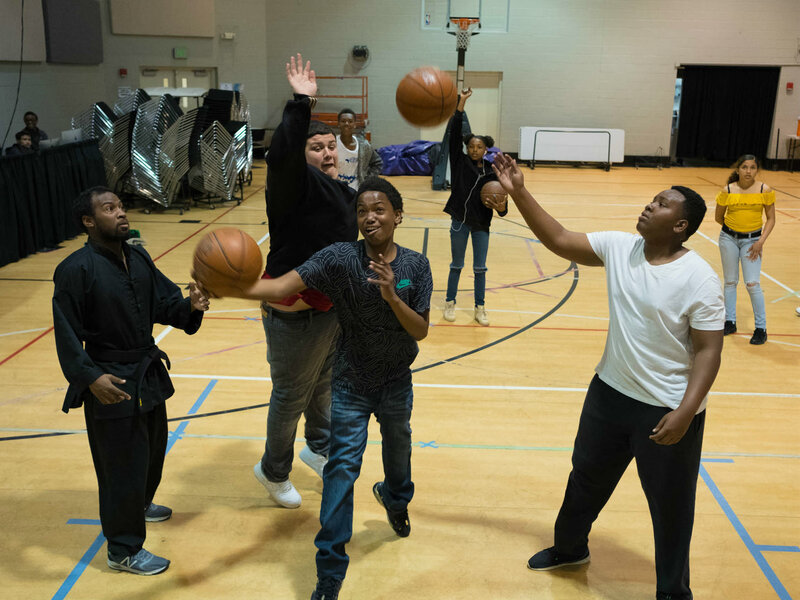 It's part of a broader effort to build better futures for black youth in the wake of the Stephon Clark shooting. Community leaders say teens in Sacramento’s poorest neighborhoods feel trapped on violent streets. New programs aim to point them toward careers. The new county-funded campaign aims to inspire hope and joy in African-American families. Parents say it’s an important assurance in light of the Stephon Clark shooting. After Stephon Clark’s Death, People Want More Investment In Sacramento’s Neighborhoods Of Color. Here’s How This Year’s Election Could Help. Some activists, demonstrators and residents are talking about Measure U — a city tax that brings in millions of dollars, mostly for police — to secure investment for communities. Stephon Clark’s death has sparked outrage and demands for police accountability. But people are also looking at the bigger problem: the lack of resources in Sacramento’s communities of color.